While playful activities are meant to be healthy and fun, they can also lead to serious injuries. Taking some precautions can help keep your activity safe and fun. Read through the material below for more information. A hit or fall can damage your brain, so know the signs of a concussion. When in doubt, sit it out! See your healthcare provider if you think you or a loved one has suffered a concussion. Did you know 20-24 year olds and those over 55 have the highest drowning death rates in Ontario? Regardless of age, inexperienced, weak, or non-swimmers should always wear a lifejacket when near or in the water. Download the fact sheet below to learn more about playing safely in or around water. Cycling is a common pastime that is fun, social, healthy and great for the environment. Cycle safely by always wearing a properly fitted helmet and know the road rules wherever you are. Download the helmet fitting guide below before you or your child starts peddling. Got Wheels? Get a Helmet! Did you know that Ontario has a law stating that motorists must leave at least 1 metre when passing a cyclist? Cycling safety requires that motorists and cyclists work together to share the road. Follow the rules of the road and be a safe and respectful driver! Enjoy the outdoors on a sunny day is a great way to stay active, but the sun can be very dangerous if not taken seriously. 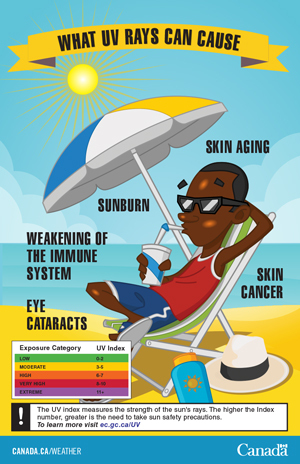 Sunburns, skin cancer, and eye damage are just a few of the side effects of unprotected sun exposure. Learn the facts and play safely! In play, risk doesn’t mean courting danger—like skating on a half-frozen lake or sending a preschooler to the park alone. It means the types of play children see as thrilling and exciting, where the possibility of physical injury may exist, but they can recognize and evaluate challenges according to their own ability. 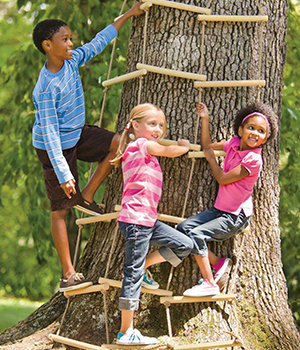 It means giving children the freedom to decide how high to climb, to explore the woods, get dirty, play hide ’n seek, wander in their neighbourhoods, balance, tumble and rough-house, especially outdoors, so they can be active, build confidence, autonomy and resilience, develop skills, solve problems and learn their own limits. 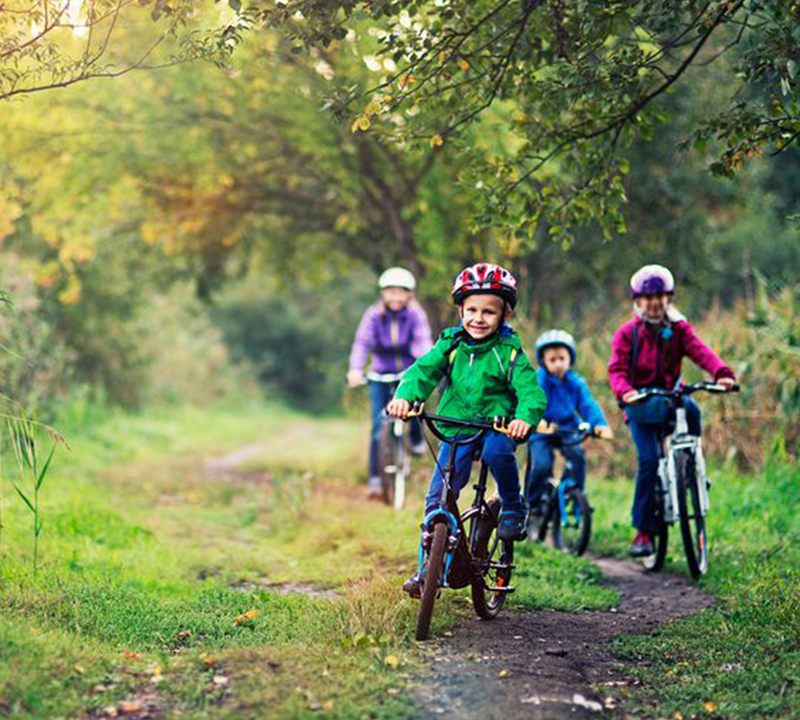 It’s letting kids be kids— healthier, more active kids. Learn more by downloading this Position Statement on Active Outdoor Play prepared by 14 Canadian organizations.